CoilArt Handmade Pre-Built Coils 5 Pack $10.95 (USA) - Daily Vaping Deals & The Best Vape Product Reviews at Vaping Cheap! For a limited time only, the CoilArt Handmade Pre-Built Coils 5 Pack is on sale right here for only $10.95! No coupon code required! Free shipping applies to US orders over $75! The CoilArt Handmade Pre-Built Coils 5 Pack comes in a plastic tube, which helps keep them organized, and makes it easy to take with you or store. 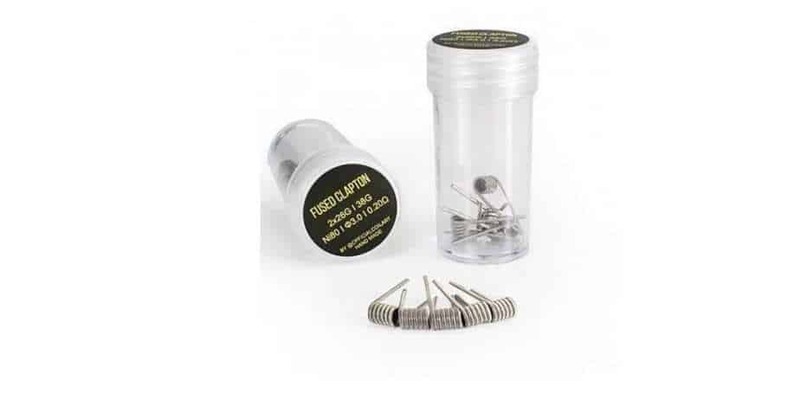 In addition, the coils are available in various options which are Alien Coils and Fused Clapton Coils. Each of these are crafted with NI80 wire, so they’ll ramp up incredibly quick! Lastly, these coils have a 0.3 ohm resistance, so it’s recommended to understand ohm’s law and battery safety before use. All in all, this is a solid deal for the CoilArt Handmade Pre-Built Coils 5 Pack! If you’re looking to grab some exotic handmade coils for your atomizers at a great price, then this is a deal worth checking out for sure! Be sure to check this deal out at this US Shipper for only $10.95! Be sure to act fast, this deal is for a limited time only!